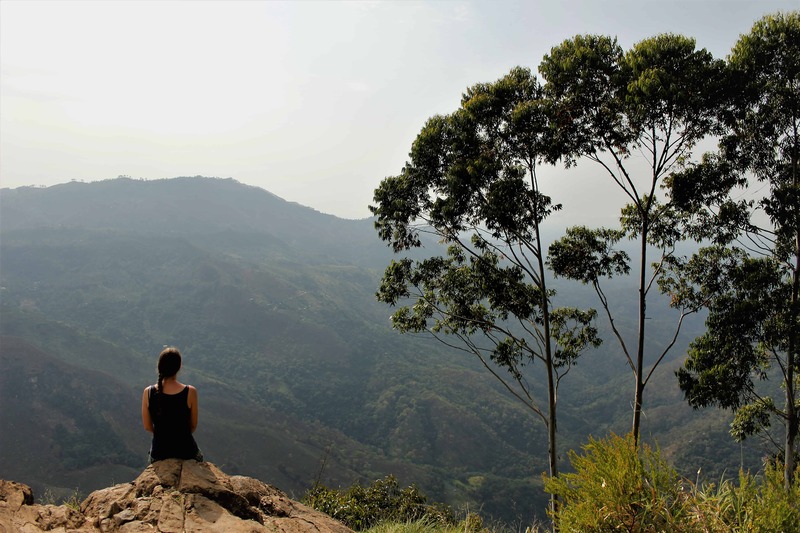 Top Experiences in Ella, Sri Lanka » Eight amazing things to do! 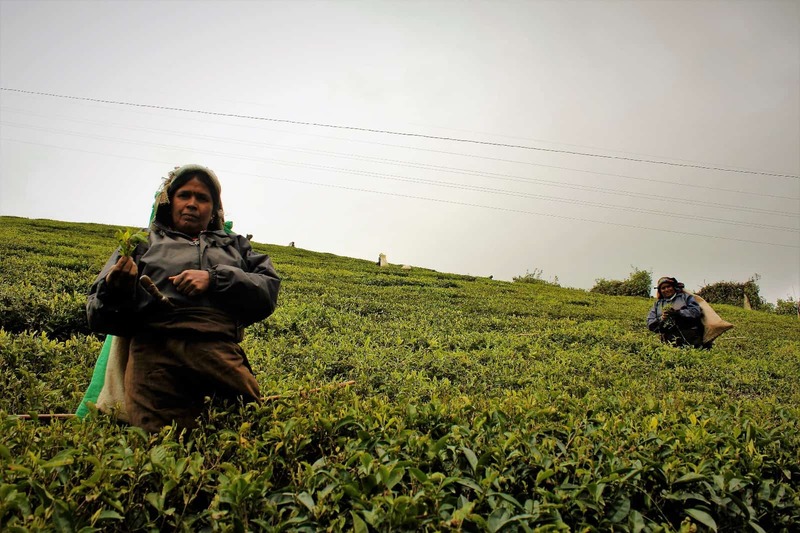 -Arriving by train from Nuwara-Eliya to Ella, I immediately loved the small, cozy, backpackers ambiance when entering the city. Combine endless green jungle, tropical mountains and plenty of exciting activities around, and you’re likely to end up longer than planned for! 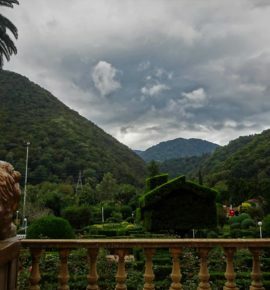 Packed with cozy guesthouses and numerous restaurants serving delectable food, it’s the combination between facilities, vibe, scenery, and activities that make Ella such an enjoyable destination. 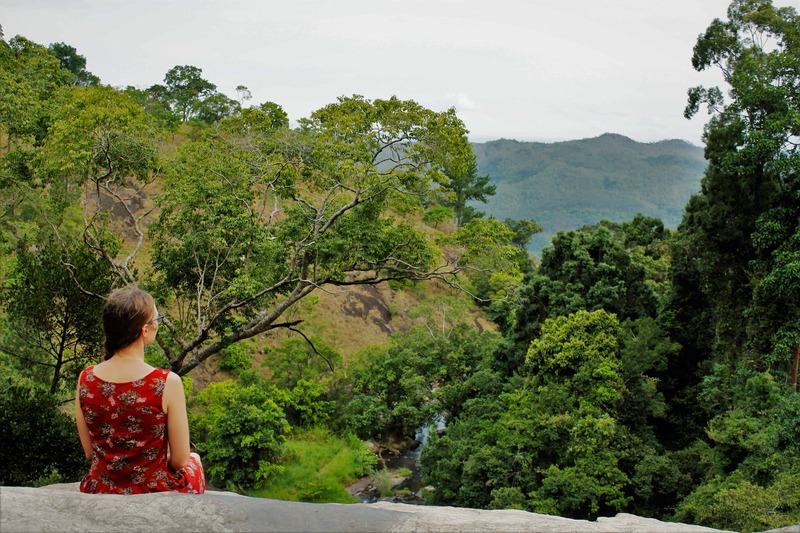 To give you some ideas about what to do in this idyllic town, I’ve listed eight top experiences in Ella, Sri Lanka. 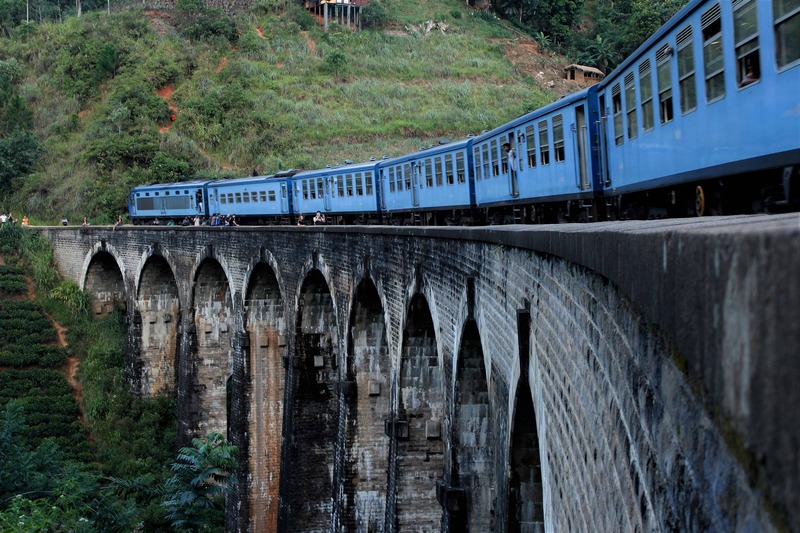 One of the must-do top experiences in Ella is to follow the railway track up to Sri Lanka’s famous Nice Arch Bridge. Besides watching trains crossing the arched stone bridge, and taking much-desired travel photos. Walking on the track is also a fun activity on its own! I mean, how often do get to your destination by hopping between wooden tracks?! From Ella station, simply follow the railway into the direction of Colombo for about 20 minutes. You’ll reach immediately after passing the tunnel. The second of top experiences in Ella is to get up early and watch the sunrise from Little Adams Peak. Similar in shape, but lots easier compared to the much higher, holy Adams Peak further west. 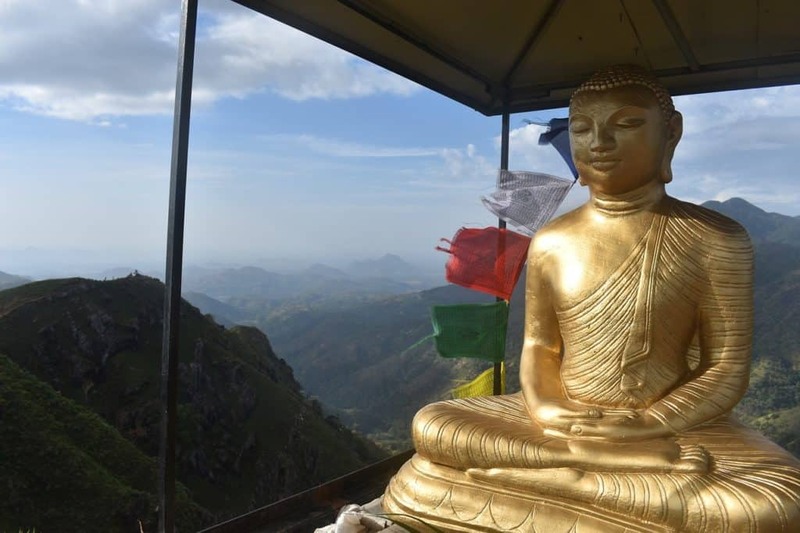 The little Adams Peak is a popular alternative, for being a relatively simple walk with a huge wow-factor. First, follow the well-marked trail along leafy tea fields. And as you go higher, get rewarded by panoramic views of green mountains alike! Either start the trail from the 98 Acres Resort or from the Ella Flower Garden Resort. Both ways -including picture taking, shouldn’t take more than 2-3 hours and can easily be done unguided. Because it’s a popular trek, expect to meet other tourists along the way. Besides sunrise, the Little Adams Peak is also perfect to watch the sunset from. Either way, carry a light to make sure you won’t get stuck in the dark. The third of top experiences in Ella also involves hiking, but it’s definitely a step up! I highly underestimated this hike when I went for sunrise; first I failed to reach the starting point on time and secondly, the last leg of the climb was super challenging! A certain level of fitness is therefore recommended. 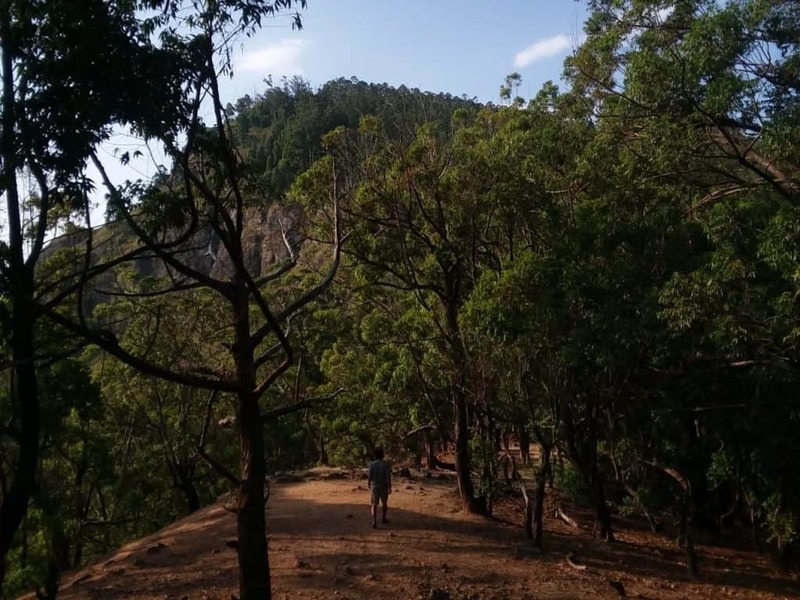 Similar to Little Adams Peak, Ella Rock offers amazing views over Sri Lanka’s hill country. Making the climb up well worth the effort! Despite confusing messages online it’s very well possible to reach the top unguided. Either use this guide that starts from Ella railway. Or use maps.me to navigate your way up from the ‘River House Apartments.’ And don’t be afraid to feel a little lost from time to time. Just ask people along the way, and you will definitely reach the top. Looking for more spectacular views, but combine it with tea? A visit to Lipton Seat might just be what you need! It was right here, where Mr. Thomas Lipton planted the first tea seeds in 1890. And started to grow tea his world-famous tea for mass consumption. 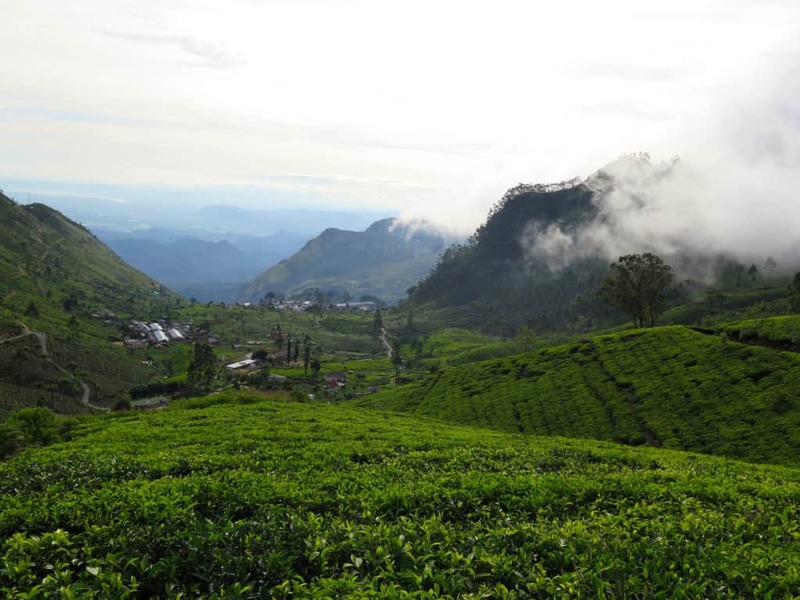 Situated 1970 meters above sea level, you can enjoy spectacular vista’s over the Dembetenna Tea Estate. And even join Mr. Lipton himself, as his statue marks just where he’d use to sit to overlook it all. 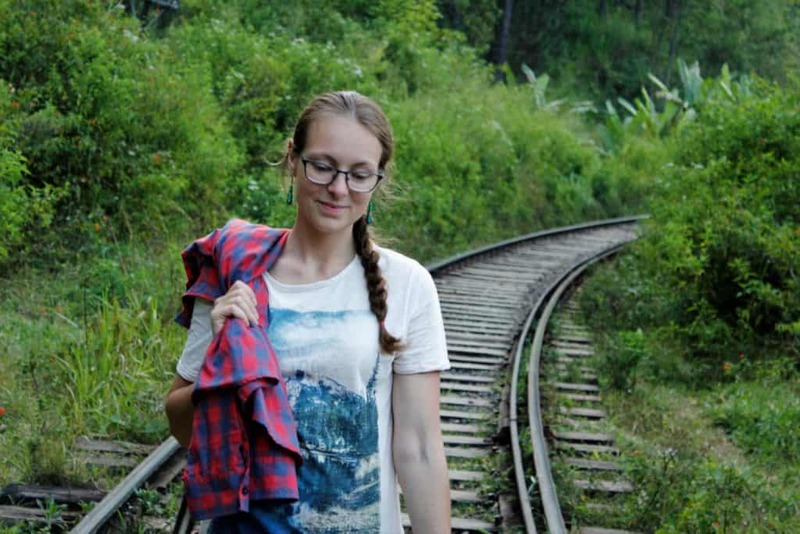 From Ella, take a short train ride to Haputale and take a bus or tuk-tuk to the viewing point. From there; walk about 7km down the plantations to the Dambatenne Tea Factory. And learn about tea. Visit in the morning until early afternoon for the best views and weather. 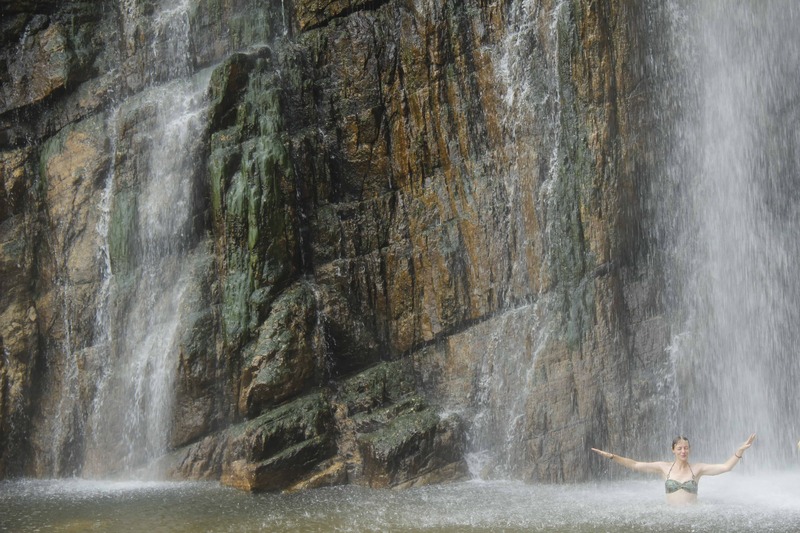 With an abundance of waterfalls around, dipping in a waterfall is definitely a must-do among the top experiences in Ella. While the Ramboda falls are a popular choice amongst many, a day trip to the Diyaluma waterfalls is an excellent choice if you’re like to get off the beaten path. Especially when you take the climb up to the upper falls you’ll get rewarded with great views, falls and adventure. In addition, the natural pools of Dunhinda Falls, and difficult to reach Wella Wala Falls seem to be worth a day trip. Read everything you need to know about planning an adventurous day trip to the Diyaluma waterfalls here. With delicious, exotic dishes everywhere in Sri Lanka, it’s only natural that you’re willing to bring some new tastes home. 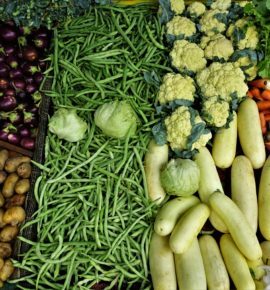 An excellent way to learn and memorize your favorite dishes is by participating in cooking classes. Treat yourself to delicious rice and curries and surprise your friends and family with spice-rich platters. Ella has plenty of cooking classes going on so it won’t be hard to find a good class. I, unfortunately, didn’t have enough time to try one, but I’ve read fantastic reviews about the Ella Spice Garden. As well as the Matey Hut Cooking School. 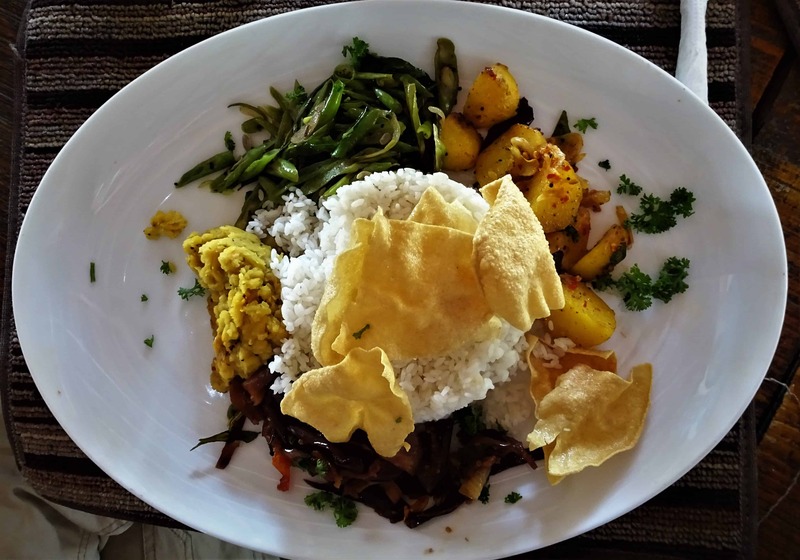 To get some inspiration about possible favorite dishes, check out this blog post on must-try food in Sri Lanka. Ella is one of those places that stands out for its travelers’ ambiance. Wandering around town and soaking up the atmosphere is simple, yet one of the top experiences in Ella. Savor delicious food in one of the many hip restaurants. And enjoy Sri Lankan nightlife in one of the many bars. Traveling on a budget, I personally enjoyed Up Country, where the lovely owner served interesting Jackfruit Jaffles, sweet coconut honey pancakes, simple breakfasts, and fruit juices. As well as Nanda Restaurant for good local dinners. Furthermore, Café One Love -mid-range budget, serves fancy cocktails as well a good pumpkin soup. But really anything that catches your eyes is most likely a good choice! Additionally, sleep in a cozy homestay right in- or away from the city center. I had a pleasant stay in the quiet Tree Cool Resort, a little outside the center. But I also could have stayed at the family-run Up Country guesthouse. Or at the more luxurious, mid-range bungalows neighboring them. Anyway, packed with plenty of hotels, hostels, guesthouses, homestays, and resorts around, you’ll certainly find a place that suits you. 8. Enjoy majestic vista’s from the train. The last top experience in Ella is all about getting to–or continuing from this town. 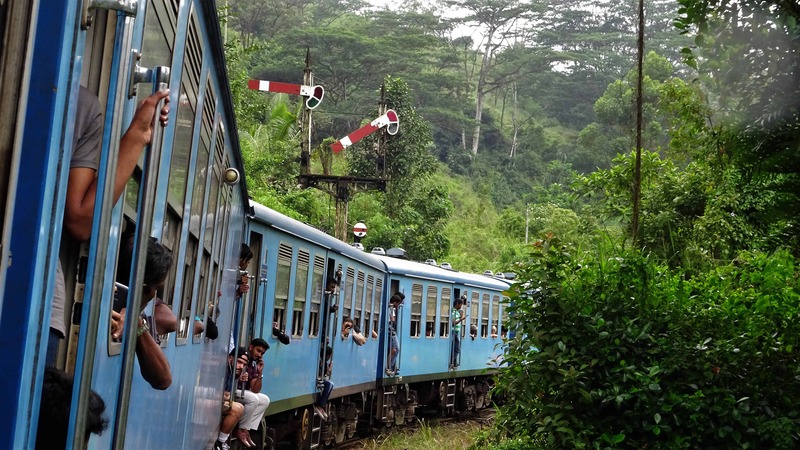 Much has been written about the mesmerizing train journey from Ella to Kandy. And for a reason! 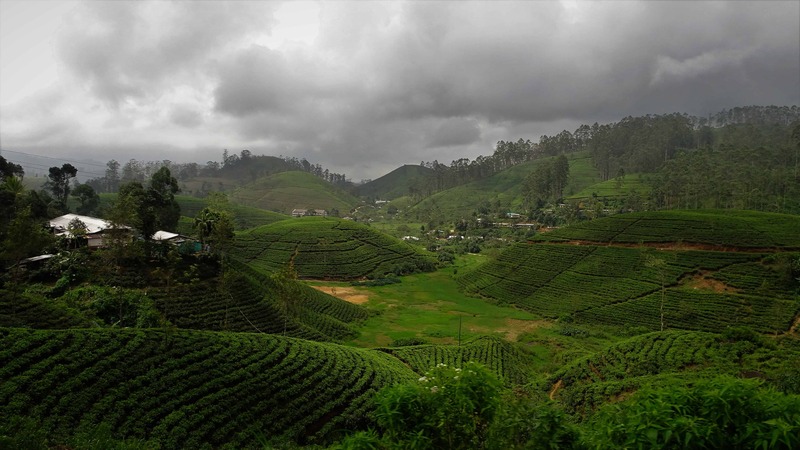 Who wouldn’t love to be carried away along tropical jungle, remote villages and endless stretches of tea hills? 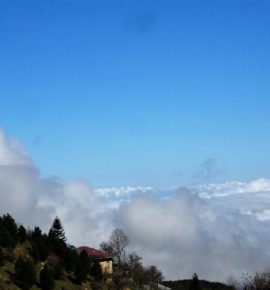 As well as dense forests, rivers, and even waterfalls covered in mystic clouds?! 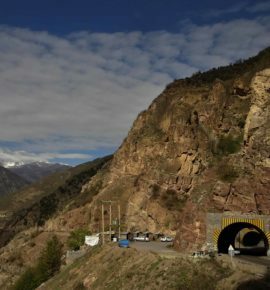 Often mentioned as one of the best train journeys in Asia. Therefore, this journey isn’t only one of the absolute top experiences in Ella, but also one of the highlights of many visiting Sri Lanka. Use this extended Ella to Kandy train guide to start dreaming away. And use the tips on getting tickets, choosing your class and getting a seat to plan your journey comfortably. Thank you so much for your kind comment! Happy to hear the information is helpful :)! I love the idea of your family trip and I’m sure Sri Lanka is an excellent choice. It has enough diversity and interesting sites for young and old. Wishing you all a wonderful trip ahead. And lots of fun planning! Great writing and photography, Priscilla. I subscribed to this site. I’ll spend a month visiting National Parks in Thailand in March. You should visit there sometime. I’ve lived there before- hate the weather ( hot, humid and hazy for a desert dweller) but over 4,000 species of flowers, marvelous Buddhist temples, and friendly people. Thanks a bunch for your lovely comment :)! And for the subscription. I’m working hard to improve the current email setup. Happy to announce that exciting changes are coming. Wow it’s sounds just wonderful to be emerged in National Parks for a month! I’ve just spend one night in Bangkok, but that was a lot more boring than in sounds hahaha. Coming from cold China to scorching Bangkok didn’t came easy for me. While traveling I’ve come to realize that although cities are interesting, nature really calls me. Happy to hear about your journey as you go ;)! Would love to experience Thai hospitality and the beautiful temples. I read your post it is so intersting and informative. Thanks!! 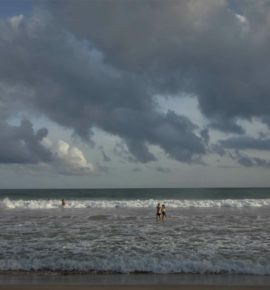 You have listed the top to do experience to do while traveling in Sri-Lanka and it makes me motivated to go there one day. 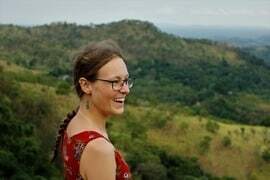 As a nature and wildlife lover, i would love to explore the rainforest , attending the sunsrise/sunset and apart from that, i never forget to gettin closer to the community to know their way of life and experiencing the vibe. Happy to hear it got you inspired to visit Sri Lanka! There’s a ton of wildlife and social activities that you can do on this island. Think about jungle-trekking, elephant and leopard watching, or even whale watching. Good luck traveling and exploring the world :)!